In recent years, there has been increased interest in the works of Ambroise Thomas, particularly in his ambitious setting of Hamlet (1868). 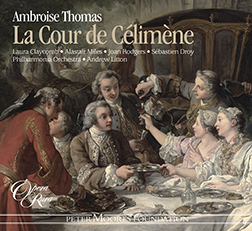 Opera Rara now takes a further important step in the rediscovery of this fascinating figure, with a new recording of his 1855 opéra-comique La Cour de Célimène. In recent years, there has been increased interest in the works of Ambroise Thomas, particularly in his ambitious setting of Hamlet (1868), which was successfully revived at opera houses including London’s Covent Garden, the New York Met, Barcelona and Paris. Ambroise Thomas’ other major success was Mignon (1866), which had more than 1,200 performances at the Opéra-Comique up to the end of the 19th century. 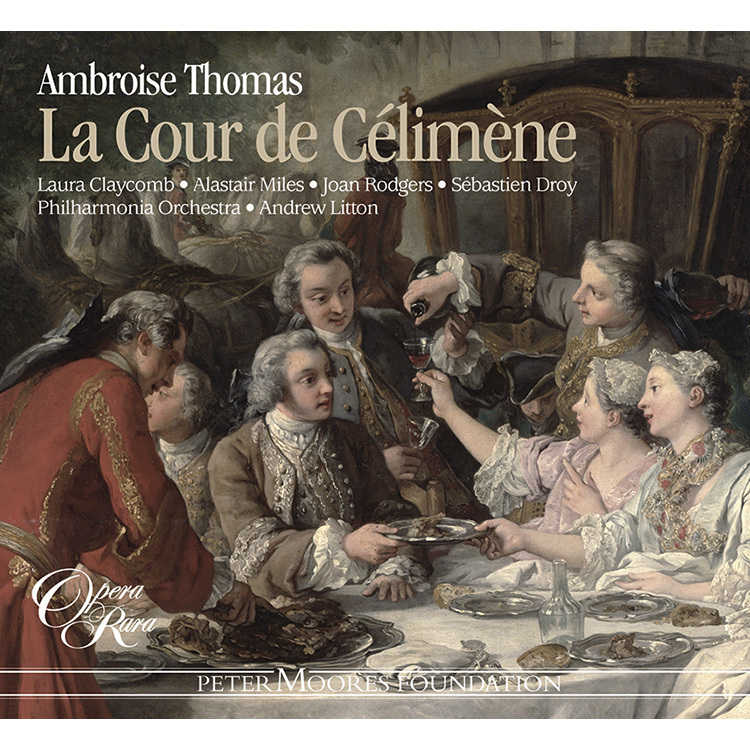 Opera Rara now takes a further important step in the rediscovery of this fascinating figure, with a new recording of his 1855 opéra-comique La Cour de Célimène (Célimène’s Court). Set in 1750 in a château near Paris, the opera centres on young widowed Countess who has no fewer than fourteen suitors. The role was written for the legendary coloratura, Marie Miolan-Carvalho, who also created roles in four of Gounod’s operas, notably Marguerite in Faust, Juliette in Roméo et Juliette and the title-role in Mireille. 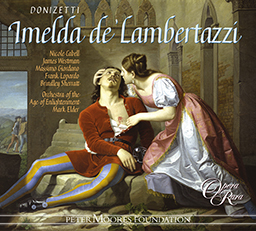 Here, Laura Claycomb sings the Countess, with Alastair Miles, Joan Rodgers and Sébastien Droy at her side. 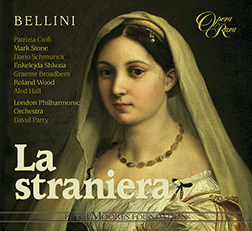 Given the large cast, which includes 13 soloists from the Geoffrey Mitchell Choir, it is unsurprising that the work’s ensembles have been selected by scholars as highlights of a score that is sure to delight lovers of French opera. 08 La Cour de Célimène Act I scena IV: Air: Que dites-vous? 09 La Cour de Célimène Act I scena IV: Dialogue: Allons, rassurez-vous ? tant de passion – scena V: Madame la Comtesse? 10 La Cour de Célimène Act I scena V: Air: Ce petit bonhomme! – scena VI: Je vais la revoir! 11 La Cour de Célimène Act I scena VII: Dialogue: Ah, vous voila donc, chevalier? 12 La Cour de Célimène Act I scena VII: Quartet: mais pardon ? – scena VIII: La voici! 13 La Cour de Célimène Act I scena VIII: Dialogue: Eh bien! Monsieur, vous n’avez pas – scena IX: Mon mariga? 14 La Cour de Célimène Act I scena IX: Couplet: Oh! 16 La Cour de Célimène Act I scena X: Finale: Quels fracas! – scena XI: La perfide – scena XII: Chevalier? 19 La Cour de Célimène Act II scena II: Dialogue: Ma soeur! Ma soeur! – scena III: Ah! Mon Dieu! 20 La Cour de Célimène Act II scena III: Voila donc la cruelle – scena IV: Le voila, le voila! 25 La Cour de Célimène Act II scena VII: Duo: Aucun, et je proteste! ? 26 La Cour de Célimène Act II scena VII: Dialogue: Et maintenant, chevalier – scena VIII: Baronne? 27 La Cour de Célimène Act II scene 9-11: Finale: Que vois-je? The Overture takes us back in time, evoking the setting: A château in Paris in 1750. We are in the period of the regency. The tension builds up for the arrival of the Countess, who eventually appears with a flurry of cadenza vocalise, in the company of maids-in-waiting and her confidante Bretonne. Her sister the Baroness, a woman whose morality is diametrically opposite to hers, enters from the other side. The ensemble continues, ending with the words ‘Quel espoir !’ (What hope!) from the suitors, and ‘Au revoir !’ from the Countess. In the spoken dialogue with her sister-widow the Baroness, the Countess reveals a little about her insatiable desire to conquer men’s hearts: in part it is revenge against the male species in general, as her late husband caused her so much heartache with his infidelities. The Baroness clearly disapproves of her sister’s delight in being an incurable ‘allumeuse’. But what she thinks is ‘honneur’ her sister thinks of as ‘erreur’. The Countess then goes on to boast of her ability to attract lovers of all characters and of all ages. The Duo turns into a Trio as the Commander enters, singing to the Countess. He is engaged to her; but is it wise to marry someone who takes such an open delight in breaking hearts? ‘Oh yes’, he says, ‘he’s flattered!’ He sings in praise of her open coquettishness, never tarnished: all her desires, all her pleasures will bring him pleasure too. The ladies listen to him, evidently charmed, and the Countess warns him that, whatever happens, no-one, not even he, will steal her heart. This, says the commander, is a ‘marriage of convenience’: he likes living on the estate owned by the two sisters. His next Air is all about this beloved property: he tells them that separation from the estate would be bad for his health. The following dialogue with Bretonne announces the arrival of the Countess’s latest young suitor: a real toy-boy in this case, a Gascon cadet known as the Chevalier. She hesitates for a moment, but in the end the temptation to have a little fun is too strong. Gallant dialogue with the Baroness leads to a Quartet where the young cadet meets the Countess again, with the Commander and the Baroness hiding unseen. The Countess is elegantly dressed for town, the besotted young cadet is very nervous and not at all confident in the ways of courtship. He is nonetheless convinced that the Countess has given him to believe that she wishes to marry him. A few home truths about some goings-on in Aix, where they first met, come out in the following dialogue and, almost en passant, the Chevalier learns that, far from intending to marry him, she is to marry the Commander. The Countess denies having led him on: her loving smiles were merely a ‘headache’ she claims, and as for embracing: ‘she must have been asleep’. In the energetic finale, the suitors reappear. They are horrified to have learnt of the Countess’s imminent wedding. They all seem to have been under the illusion that she loved each one of them! The Commander and the Chevalier argue with greater and greater vehemence as the music becomes more and more heated. A duel is called for and the twelve suitors divide into two groups to form seconds for the duellists. The scene is set in the Countess’s boudoir. A table on the left is covered with bouquets of flowers and opened love-letters. In the short recitative that serves as an introduction to Act II, the Countess seems tired of all her games and wants a few moments to herself. In the following display Aria she pretends to address a lover kneeling in front of her. Never mind if he goes away, she remarks, another will soon take his place. She reflects before pretending to address a second lover: both of them are treated to a fine display of vocal fireworks. Her maid Bretonne appears, and the countess gives her a heap of bouquets to perfume her room and some love-letters ‘to inflame her heart’, much to her delight. The Baroness rushes in to announce that the wounded are returning from the duel. In the Morceau d’ensemble which follows, the walking wounded utter cries of pain and at first accuse the Countess of being ‘proud, ungrateful, ungrateful and wilful’. She melts their anger away by parading around them seductively: to each she offers a word of consolation. Each one of them is delighted, believing himself at last to be the object of her love. The Countess asks what has happened to the Commander and the suitors tell her that he is seriously wounded. He enters, his clothes torn and dishevelled and his face bandaged in several places. Everyone laughs mockingly but then pretends to be moved by his misfortune. The tottering Commander has a solution. It is a rather long-winded one; but it confirms our previous perception that it is property and the desire to live in his domaine enchantée that governs the Commander’s motives. His only way forward, shamed by the loss of the duel for the Countess, is to marry the Baroness. He lavishes flattery on the latter: his clumsy advances are welcomed by the company with choruses of praise for his gallantry! The following dialogue is crucial, for the Countess has had a change of heart. Somewhat alarmed at having been forced by the Commander’s loss of the duel into a corner where she may have to marry the Chevalier, she demands that her sister inform the Chevalier that if he wants her hand in marriage he must apologise for earlier violent scenes and prepare for her reformed attitude (a remark made with an ironic sigh): the Countess will from henceforth be a sweet, good woman whose only desire is for constant love from a faithful husband. Enter the Chevalier who admits no hatred for the Commander whom he considered honourable and a gentleman. He is now intent only on exacting revenge from the hard-hearted Countess. When the Baroness, as the Countess has instructed her, suggests that he might find a gentle, loving woman instead, the Chevalier misunderstands her and, falling in love at once with the Baroness, assumes that she will marry him straightaway. He goes to collect his bags. In the finale the Baroness is reduced to laughter as the Chevalier returns to see the Commander on his feet in front of her. Now she has two offers of marriage. The suitors enter and the chevalier is sporting for another duel: the commander has once again become a rival. The Countess enters holding a bouquet and offers her hand to the Chevalier. But he spurns it and instead takes the hand of the Baroness announcing that he will marry her after he has killed the Commander. The confused Countess then confesses her mistake, claiming that she had meant to offer her hand to the Commander: things have turned full circle and the first solution is adopted. The twelve suitors are annoyed: they confess that their aim was that she should never marry so that they could live eternally in hope. The Countess throws down her bouquet and each of the suitors takes a flower for their buttonholes. It seems she will take the commander, for beside him, without her heart stolen, she can be free and happy. Die Ouvertüre führt uns in vergangene Zeiten zurück und beschreibt die Kulisse, vor der die Oper stattfindet: Ein Pariser Schloss im Jahr 1750. Der Vorhang hebt sich vor einem klassischen Garten mit Hecken rechts und links, einigen Bäumen und Statuen von mythologischen Figuren. Das einleitende Ensemblestück ist sehr komisch und findet durchgängig in fast völliger Dunkelheit statt. Während die zwölf Verehrer der Gräfin (die den Spitznamen Célimène trägt, zweifellos wegen ihrer Ähnlichkeit mit Molières Figur dieses Namens) allmählich eintreffen, um sie zu empfangen, stoßen sie im Dunkeln ineinander. Sie sind in drei Gruppen von jeweils vier Männern unterteilt: Jugendliche, Junge und Alte. Keinem von ihnen ist klar, wie viele sie tatsächlich sind, und jeder hält sich selbst für den Auserkorenen. Die Spannung vor der Ankunft der Gräfin baut sich auf, schließlich erscheint sie mit einem Wirbel von kadenzierten Solfeggien in Begleitung ihrer Damen und ihrer Vertrauten Bretonne. Ihre Schwester, die Baronin, deren Moral der ihren diametral entgegengesetzt ist, tritt von der anderen Seite auf. Das Ensemble wird fortgesetzt und endet schließlich mit den Worten „Quel espoir!“ (Welch Hoffnung!) von den Verehrern und „Au revoir!“ von der Gräfin. Im gesprochenen Dialog mit ihrer Schwester, der verwitweten Baronin, erklärt die Gräfin ihr unstillbares Verlangen, Männerherzen zu erobern: Zum Teil will sie sich damit am männlichen Geschlecht insgesamt rächen, denn ihr verstorbener Mann verursachte ihr mit seiner Untreue große Qualen. Um die gegensätzliche Moral der Schwestern geht es im Duett, das mit Worten der Gräfin beginnt: „Oui, c’est le plus grand des bonheurs que de régner sur mille cœurs“ (Das größte Vergnügen ist es, über tausend Herzen zu herrschen). Die Baronin missbilligt die Freude, mit der ihre Schwester Männer ins Unglück stürzt. Doch was jene für „honneur“ (Ehre) hält, ist für diese ein „erreur“ (Irrtum). Dann prahlt die Gräfin mit ihrer Fähigkeit, Liebhaber jeder Wesensart und jeden Alters zu bannen. Das Duett wird zu einem Terzett, als der Kommandeur dazukommt und der Gräfin ein Lied vorträgt. Er ist mit ihr verlobt – doch ist es klug, eine Frau zu heiraten, der es unverkennbar Freude bereitet, Herzen zu brechen? „O ja“, sagt er, „geschmeichelt bin ich!“ Singend macht er ihr Komplimente über ihre unverhohlene Koketterie, die sie nie zu verbergen sucht: all ihre Eroberungen, all ihre Vergnügungen werden auch ihn vergnügen, beteuert er. Beeindruckt hören die Damen ihm zu, und die Gräfin warnt ihn, dass niemand, nicht einmal er, ihr das Herz rauben wird. Dies, sagt der Kommandeur, sei eine „Vernunftehe“: Es gefalle ihm, auf dem Gut zu leben, das den beiden Schwestern gehört. Sein nächstes Air handelt ausschließlich von diesem geliebten Anwesen – und er sagt den beiden Damen, dass es seiner Gesundheit nicht zuträglich wäre, davon getrennt zu werden. Im anschließenden Dialog mit Bretonne wird die Ankunft des neuesten jungen Galans der Gräfin angekündigt, ein sehr junger Kadett aus der Gascogne, der als Chevalier bekannt ist. Kurz zögert sie, in zu empfangen, aber dann erweist sich die Verlockung, sich einen kleinen Spaß zu erlauben, als zu stark. Ein gallanter Dialog mit der Baronin geht in ein Quartett über, als der junge Kadett die Gräfin wiedersieht, während der Kommandeur und die Baronin sich verstecken. Die Gräfin trägt elegante Stadtkleidung, der verliebte junge Kadett ist ausgesprochen nervös und sehr unsicher in seinem Liebeswerben. Trotzdem ist er überzeugt, dass die Gräfin ihm zu verstehen gegeben hat, sie wolle ihn zum Mann. Im folgenden Dialog kommt eine Begebenheit ans Licht, die sich bei ihrem Kennenlernen in Aix abspielte, und fast en passent erfährt der Chevalier, dass die Gräfin mitnichten ihn heiraten will, sondern den Kommandeur. Sie bestreitet, ihn getäuscht zu haben: Ihr liebevolles Lächeln sei lediglich „Kopfweh“ gewesen, so behauptet sie, und dass sie ihn umarmt habe, „muss im Schlaf gewesen sein“. Im lebhaften Finale treten alle Verehrer wieder auf. Sie sind schockiert über die bevorstehende Hochzeit der Gräfin, wiegten sie sich doch in der Illusion, dass sie jeden von ihnen liebte! Der Kommandeur und der Chevalier debattieren immer hitziger, die Musik wird immer feuriger. Schließlich fordern sie ein Duell, und die zwölf Verehrer teilen sich in zwei Gruppen auf, um den Duellisten als Sekundanten beizustehen. Wir befinden uns im Boudoir der Gräfin. Der Tisch linkerhand ist übersät mit Blumensträußen und geöffneten Liebesbriefen. In dem kurzen Rezitativ, das als Einleitung zum 2. Akt dient, wirkt die Gräfin ihrer Spielereien ein wenig überdrüssig und möchte ein paar Momente alleine verbringen. In der daran anschließenden Arie gibt sie vor, zu einem vor ihr knienden Liebhaber zu sprechen. Es störe sie nicht, wenn er fortgehe, beteuert sie, denn ein anderer werde bald seinen Platz einnehmen. Dann sinniert sie eine Weile, ehe sie einen zweiten gedachten Geliebten adressiert. Beide bedenkt sie mit einem brillanten vokalen Feuerwerk. Bretonne erscheint, und die Gräfin schenkt ihrer Gefährtin zu deren Entzücken Bouquets, um ihr Zimmer zu parfümieren, und ein paar Liebesbriefe, um ihr Herz zu entflammen. Da stürzt die Baronin herein und berichtet, dass die Verletzten vom Duell zurückkehren. Im nun folgenden Ensemblestück hören wir Schmerzensschreie der Verwundeten, die die Gräfin bezichtigen, stolz, undankbar und eigensinnig zu sein. Doch ihr Zorn verfliegt, als die Gräfin verführerisch zwischen ihnen auf und ab schreitet und für jeden ein Wort des Trosts findet. Und jeder ist entzückt, denn nun glaubt er, schließlich und endlich wirklich das Objekt ihrer Liebe zu sein. Die Gräfin fragt, was dem Kommandeur zugestoßen sei, und erhält von den Verehrern die Auskunft, er sei schwer verwundet. Da tritt er auf, seine Kleider sind zerfetzt und zerrauft, sein Gesicht ist an mehreren Stellen verbunden. Alle lachen spöttisch, geben dann aber vor, betroffen zu sein von seinem Unglück. Der verwundete Kommandeur schlägt eine Lösung vor. Sie ist recht langatmig, bestärkt uns aber in unserem Glauben, dass seine Beweggründe ausschließlich das Anwesen und der Wunsch sind, in dieser domaine enchantée zu leben. Und da er nun Schande über sich gebracht hat, indem er das Duell um die Gräfin verlor, besteht die einzige Möglichkeit für ihn nun darin, die Baronin zu ehelichen. Die überhäuft er nun mit Schmeicheleien, und die Versammelten quittieren seine Avancen mit Jubel für sein gallantes Wesen! Der nun folgende Dialog verdeutlicht, dass bei der Gräfin ein Sinneswandel eingetreten ist. Erschrocken, dass sie durch die Niederlage des Kommandeurs in eine Situation geraten ist, in der sie möglicherweise den Chevalier heiraten muss, bittet sie ihre Schwester, den Chevalier zu informieren, dass er, wenn er sie ehelichen wolle, sich zunächst für frühere heftige Szenen entschuldigen und sich für ihren reformierten Lebenswandel wappnen müsse (bei dieser Bemerkung seufzt sie ironisch): Sie werde fortan eine liebevolle, gute Frau sein, deren einziger Wunsch darin bestehe, von ihrem treuen Gemahl auf ewig geliebt zu werden. Da tritt nun der Chevalier auf und erklärt, er empfinde keinen Hass auf den Kommandeur, im Gegenteil, er halte ihn für einen ehrenwerten, edlen Herren, ihm gehe es jetzt lediglich darum, sich an der hartherzigen Gräfin zu rächen. Als die Baronin, wie von der Gräfin geheißen, erklärt, er möge statt dessen eine sanfte, liebevolle Frau vorfinden, missversteht der Chevalier ihre Worte, verliebt sich auf der Stelle in die Baronin und ist überzeugt, dass sie ihn sofort heiraten wird. Er geht davon, um seine Taschen zu holen. Im Finale bricht die Baronin in Lachen aus, als der Chevalier wiederkehrt und den Kommandeur vor ihr knien sieht. Nun buhlen zwei Männer um ihre Hand. Die Verehrer treten auf, und der Chevalier dringt auf ein weiteres Duell, der Kommandeur ist wieder sein Rivale geworden. Die Gräfin kommt herbei mit einem Bukett in der Hand und bietet ihre Hand dem Chevalier an. Doch er schlägt sie aus und ergreift statt dessen die Hand der Baronin, die er zu heiraten gelobt, nachdem er den Kommandeur getötet haben werde. Da gesteht die Gräfin, in ihrer Verwirrung einen Fehler gemacht zu haben, und sagt, sie habe ihre Hand dem Kommandeur reichen wollen. Der Kreis hat sich geschlossen, die erste Lösung wird angenommen. Die zwölf Verehrer sind enttäuscht, sie gestehen, ihr Wunsch sei es gewesen, die Gräfin würde niemals heiraten, denn dann könnten sie alle in ewiger Hoffnung leben. Die Gräfin wirft ihr Bukett zu Boden, und jeder der Verehrer pflückt sich daraus eine Blume für sein Knopfloch. Es scheint, als würde sie den Kommandeur nehmen, denn an seiner Seite darf sie ungebunden und glücklich sein, ohne dass ihr das Herz geraubt wird. L’Ouverture ci riporta indietro nel tempo, con la sua ambientazione in un castello di Parigi. L’anno è il 1750. Il sipario si alza su un giardino di stile classicheggiante, con boschi a destra e a sinistra, qualche albero e le statue di alcune figure mitologiche. Il concertato iniziale è divertente e si svolge nell’oscurità quasi completa. Entrano, uno dopo l’altro, i dodici spasimanti che attendono la Contessa (soprannominata Célimène certamente per la sua somiglianza all’omonimo personaggio di Molière) e si urtano a vicenda nell’oscurità. Sono divisi in tre gruppi di quattro innamorati ciascuno: giovani, adolescenti e vecchi. Cantando in versi ben rimati sembrano ignari di essere in tanti; ognuno pensa di essere il prescelto. Cresce la tensione all’avvicinarsi dell’arrivo della Contessa che finalmente compare con una turbinante cadenza di vocalizzi, con le sue damigelle di compagnia e la confidente Bretonne. Dall’altro lato entra sua sorella, la Baronessa, una donna di moralità diametralmente opposta. Il concertato prosegue e poi si conclude con le parole “Quel espoir !” (Che speranza!) pronunciate dagli spasimanti e “Au revoir!” da parte della Contessa. Nel dialogo parlato con la sorella Baronessa, vedova, la Contessa parla del suo insaziabile desiderio di conquistare i cuori maschili: in parte si tratta di una vendetta contro l’altro sesso in generale (il defunto marito della Contessa l’aveva fatta molto soffrire per le sue infedeltà). È evidente che la Baronessa non approva il piacere che la sorella ottiene dalle sue innumerevoli conquiste. Ma ciò che lei considera “honneur” per l’altra rappresenta un “erreur”. La Contessa prosegue vantandosi della sua capacità di affascinare uomini di tutti i tipi e di tutte le età. Il Duetto si trasforma in un trio con l’intervento del Comandante, che si rivolge alla Contessa. L’uomo è fidanzato con lei; ma è prudente sposare chi evidentemente ha la passione di far strage di cuori? “Sì”, è la risposta, “io ne sono lusingato!” Il Comandante fa l’elogio dell’infaticabile e scoperta civetteria della donna; tutto ciò che lei desidera e ama sarà un piacere per lui. Le signore lo ascoltano, evidentemente affascinate, e la Contessa lo avverte che, qualunque cosa succeda, nessuno, nemmeno lui, riuscirà a rubarle il cuore. Questo, replica il comandante, è un “matrimonio di convenienza”; a lui piace vivere nei terreni di proprietà delle due sorelle. L’aria successiva parla della sua amata proprietà: l’uomo dichiara alle sorelle che separarsi dai suoi possedimenti gli farebbe male alla salute. Il successivo dialogo con Bretonne annuncia l’arrivo dell’ultimo giovane spasimante della Contessa: il Cavaliere, un cadetto guascone. La donna esita per un momento, ma alla fine la tentazione di prenderlo un po’ in giro è troppo forte. Un galante dialogo con la Baronessa si trasforma in un quartetto: il giovane cadetto incontra nuovamente la Contessa, mentre il Comandante e la Baronessa si nascondono per non essere visti. La Contessa è in abbigliamento elegante di città, il giovane cadetto infatuato è nervosissimo e per nulla abituato alle regole del corteggiamento. Però è sicuro che la Contessa gli abbia fatto intendere che desidera sposarlo. Il dialogo successivo rievoca alcuni episodi avvenuti ad Aix dove i due si erano conosciuti e, quasi en passant, il Cavaliere viene a sapere che, lungi dal voler sposare lui, la donna è promessa al Comandante. La Contessa nega di averlo illuso: i sorrisi innamorati erano in realtà sintomi di emicrania, dichiara, e non ricorda di essere stata baciata – probabilmente era addormentata. Nel vivace finale rientrano gli spasimanti. Tutti inorridiscono quando vengono a conoscenza delle nozze imminenti della Contessa. Ciascuno era convinto di essere oggetto del suo amore! Il Comandante e il Cavaliere litigano con violenza crescente, mentre la musica si anima sempre di più. La disputa termina in una sfida e i dodici spasimanti si dividono in due gruppi di padrini per i duellanti. La scena si svolge nel salottino della Contessa. A sinistra si trova un tavolo coperto da mazzolini di fiori e lettere d’amore aperte. Nel breve recitativo che precede l’Atto II la Contessa si dice stanca di tutti i suoi giochi e desidera passare qualche momento da sola. Nella successiva aria di bravura, la donna finge di rivolgersi a un innamorato in ginocchio davanti a lei e dichiara che non le importa essere lasciata: un altro prenderà ben presto il suo posto. Riflette prima di fingere di rivolgersi a un secondo innamorato e regala a entrambi un elettrizzante sfoggio di fuochi d’artificio vocali. Entra la domestica Bretonne e la contessa le consegna alcuni mazzolini di fiori per profumare la sua stanza e qualche lettera d’amore, “per infiammare il suo cuore”, con grande piacere della donna. Nella stanza entra di corsa la Baronessa e annuncia l’imminente ritorno dei feriti dopo il duello. Nel concertato che segue, i feriti si lamentano e inizialmente accusano la contessa di essere “presuntuosa, ingrata, ingrata e volubile”. Lei riesce ad annullare la loro ira muovendosi tra loro in maniera seducente e offrendo a ciascuno una parola di conforto. Tutti si rallegrano e ognuno pensa di essere finalmente oggetto del suo amore. La Contessa chiede cosa sia accaduto al Comandante e gli spasimanti le rispondono che è gravemente ferito. Entra l’uomo, con gli indumenti strappati e in disordine e il viso coperto di bende. Tutti lo scherniscono, ridendo, ma poi si fingono colpiti dalla sua sventura. Il Comandante, ancora malfermo sulle gambe, ha una soluzione. È piuttosto complessa, ma conferma i nostri dubbi che a spingere le sue azioni siano solo la proprietà e il desiderio di vivere nel proprio domaine enchantée. L’unica via d’uscita, dopo la vergognosa sconfitta nel duello causato dalla Contessa, è quella di sposare la Baronessa e comincia a rivolgerle esagerati complimenti, ma le sue avance sono accolte da tutti con cori di elogi per il suo ardimento! Il dialogo successivo segna una svolta perché finalmente la Contessa ha cambiato idea. Trovandosi con le spalle al muro dopo la sconfitta in duello del Comandante che potrebbe costringerla a sposare il Cavaliere, chiede allarmata alla sorella di comunicare al Cavaliere che, se desidera la sua mano, dovrà chiedere scusa delle precedenti scene violente ed essere pronto ad accettare la sua intenzione di emendarsi (frase pronunciata con un sospiro ironico): d’ora in poi la Contessa sarà una donna dolce, buona, desiderosa solo di amore costante e di un marito fedele. Entra il Cavaliere il quale ammette di non odiare il Comandante che considera uomo d’onore e gentiluomo. Adesso desidera solo vendicarsi della spietata Contessa. Quando la Baronessa, secondo le istruzioni della Contessa, gli suggerisce di trovare una donna gentile e innamorata, il Cavaliere equivoca, si invaghisce all’istante di lei e, convinto che la donna lo sposerà subito, va a prendere i suoi bagagli. Nel finale, la Baronessa riesce a stento a trattenere il riso quando il Cavaliere ritorna e vede il Comandante in piedi davanti a lei. Adesso lei ha ben due proposte di matrimonio. Entrano gli spasimanti e il cavaliere fa capire che è pronto per un altro duello, dato che il Comandante sembra ancora una volta suo rivale. Entra la Contessa con un mazzolino di fiori in mano e offre la sua mano al Cavaliere. Ma lui la rifiuta e invece prende la mano della Baronessa, annunciando che intende sposare lei dopo aver ucciso il Comandante. Confusa, la Contessa confessa il proprio errore, sostenendo che intendeva offrire la propria mano al Comandante: ora che tutto è tornato al punto di partenza, viene adottata la prima soluzione. I dodici spasimanti sono contrariati: confessano di aver sperato che la donna non si sposasse mai, in modo da poter vivere per sempre nella speranza. La Contessa lancia a terra il suo mazzolino e ciascuno degli spasimanti prende un fiore da mettere all’occhiello. Tutto fa pensare che la donna sposerà il Comandante: accanto a lui potrà essere libera e felice, senza farsi rubare il cuore. L’ouverture évoque des temps anciens: l’action se situe à Paris, dans un château, en 1750. Le rideau se lève sur un jardin d’inspiration classique avec des taillis à gauche et à droite, quelques arbres et des statues de personnages mythologiques. Le morceau d’ensemble inaugural, désopilant, se déroule dans une obscurité presque totale d’un bout à l’autre. Les douze soupirants de la comtesse (dite Célimène en raison, sans doute, de sa ressemblance avec le personnage éponyme de Molière) font leur entrée l’un après l’autre et se bousculent dans le noir en l’attendant. Les douze soupirants se rangent, quatre par quatre, dans trois catégories: les jeunes, les adolescents et les vieillards. Ils se font joliment écho, chacun paraissant ignorer l’existence des autres et se croyant aimé. La tension monte jusqu’à l’arrivée de la comtesse, dans un véritable tourbillon de vocalises, accompagnée de ses dames de compagnie et de Bretonne, sa confidente. Sa sœur la baronne, veuve dont la morale est diamétralement opposée à celle de la comtesse, arrive sur ces entrefaites par l’autre côté de la scène. L’ensemble s’achève sur un « Quel espoir ! » des soupirants et un « Au revoir ! » de la comtesse. Le dialogue qui suit nous en apprend un peu plus sur les raisons qui poussent la comtesse à vouloir conquérir tous les cœurs : c’est notamment, confie-t-elle à la baronne, pour se venger sur toute la gente masculine des torts de son défunt mari, dont les infidélités l’ont cruellement fait souffrir. La baronne désapprouve le comportement de sa sœur et le plaisir que celle-ci prend à se conduire comme une incorrigible allumeuse. Ce que l’une appelle « honneur » n’est qu’ « erreur » pour l’une. La comtesse se vante de ses talents de séduction auprès de tous les hommes, quels que soient leur tempérament ou leur âge. Le duo se transforme en trio avec l’arrivée du commandeur, auquel la comtesse est fiancée. Mais est-il bien sage d’épouser quelqu’un qui prend un flagrant plaisir à briser les cœurs ? Oui, répond-il, « je suis flatté ! » Il chante les louanges de la comtesse et de sa coquetterie, qu’aucun échec n’a encore jamais ternie : tous ses désirs, tous ses succès sont autant de plaisirs pour lui. Ravies, les deux sœurs l’écoutent. La comtesse prévient toutefois le commandeur que, quoi qu’il arrive, personne, pas même lui, ne lui volera son cœur. À cela, il répond que leur union est un « mariage de convenance » : il aime séjourner sur les terres de la comtesse et de la baronne. Dans l’air suivant, il n’est plus question que de ce domaine tant prisé : s’il devait ne plus pouvoir s’y rendre, répète le commandeur, sa santé en souffrirait. Bretonne intervient pour annoncer l’arrivée du chevalier, dernier en date des jeunes amoureux de la comtesse : il s’agit d’un petit jeune homme à la mode, de surcroît cadet de Gascogne. La comtesse hésite un instant mais ne peut résister à la tentation de s’amuser un peu. Suivent un bref dialogue entre le cadet et la baronne puis un quatuor où le jeune homme s’entretient avec la comtesse tandis que le commandeur et la baronne cachés dans les taillis les épient. Devant la comtesse en grande toilette de ville, le jeune homme manifeste une grande nervosité et manque totalement d’assurance. Il ne lui cache pas pour autant sa conviction qu’elle souhaite l’épouser. Le dialogue qui s’ensuit révèle plusieurs détails significatifs de leur première rencontre à Aix, et le chevalier découvre, presque en passant, que loin de vouloir l’épouser, la comtesse s’apprête à unir sa destinée à celle du commandeur. La comtesse nie avoir donné de faux espoirs au chevalier : ses sourires alanguis, elle les attribue à une migraine ; et si elle lui a laissé prendre un baiser, c’est qu’elle était endormie. Les autres soupirants réapparaissent pour un chant final intempestif. Ils ont appris le mariage prochain de la comtesse et en sont horrifiés. Chacun d’entre eux semble avoir l’impression d’avoir été aimé d’elle ! Le commandeur et le chevalier se querellent avec une âpreté croissante tandis que la musique se fait plus véhémente. La scène se conclut sur une provocation en duel et les douze soupirants se divisent en deux groupes pour servir de témoins aux duellistes. L’action se déroule dans le boudoir de la comtesse. À gauche, une table recouverte de bouquets de fleurs et de billets doux décachetés. Dans le récitatif qui sert d’introduction à l’Acte II, la comtesse se dit lasse de tous ses jeux galants et souhaite se ménager quelques instants de solitude. Vient ensuite un air de bravoure où elle s’adresse à un soupirant imaginaire, agenouillé devant elle : peu importe qu’il la quitte, dit-elle, il y en aura toujours un autre pour vite venir le remplacer. Elle réfléchit un instant puis évoque un second soupirant. À chaque fois, c’est un véritable feu d’artifice vocal. Lorsque Bretonne, sa servante, apparaît, la comtesse lui fait cadeau, à son plus grand plaisir, d’une brassée de fleurs et de quelques billets doux pour lui enflammer le cœur. La baronne arrive sur ces entrefaites pour annoncer le retour des douze soupirants qui se sont battus entre eux. Dans le morceau d’ensemble qui suit, les blessés font leur entrée un à un, en poussant des cris de douleur et en accusant la comtesse d’orgueil, d’ingratitude et d’infidélité. Pour dissiper leur colère, la comtesse leur tourne autour coquettement et offre à chacun une parole de consolation. Se croyant enfin aimés d’elle, tous se félicitent de leur bonne fortune. La comtesse demande alors ce qui est arrivé au commandeur et ses soupirants lui répondent qu’il est grièvement blessé. Il entre à cet instant sur scène, les vêtements déchirés, la chevelure en désordre et le visage couvert de pansements. Tout le monde éclate de rire et, après s’être bien moqué de lui, prétend s’apitoyer sur son sort. Les échanges suivants marquent un tournant dans l’intrigue : ils révèlent, en effet, un changement chez la comtesse. Inquiète de se voir peut-être obligée d’épouser le chevalier qui a humilié le commandeur, la comtesse demande à sa sœur de faire savoir au jeune homme que, s’il souhaite avoir sa main, il devra présenter des excuses pour la scène violente de tantôt et se préparer à trouver en elle une femme soumise (paroles accompagnées d’une soupir ironique) : la comtesse sera désormais une femme bonne et douce, n’ayant d’autre souci que de mériter l’amour et la constance d’un mari fidèle. Entre alors le chevalier : il est, dit-il, sans haine contre le commandeur qu’il considère comme un galant homme, mais tient à se venger de la cruauté de la comtesse. Lorsque la baronne lui suggère, comme le lui a demandé sa sœur, qu’il pourrait trouver en elle une femme douce et aimante, le chevalier se trompe sur le sens de ces paroles et, tombant soudain amoureux de la baronne, présume que celle-ci l’épousera sur le champ. Il part chercher ses bagages. Dans le final, la baronne ne sait que rire en voyant le chevalier trouver, à son retour, le commandeur agenouillé devant elle. C’est une seconde proposition de mariage qui vient de lui être faite. La cohorte des soupirants fait son entrée. Le chevalier, se voyant à nouveau en rivalité avec le commandeur, brûle de le provoquer une fois encore en duel. La comtesse entre portant un bouquet et offre sa main au chevalier. Il n’en veut point et prend, à la place, celle de la baronne en annonçant qu’il l’épousera après avoir tué le commandeur. La comtesse s’avoue confuse et déclare qu’au fond elle veut offrir sa main au commandeur – nouveau renversement de situation qui marque un retour au point de départ. Les douze soupirants se désolent : ils comptaient ne jamais voir la comtesse se marier pour conserver à jamais l’espoir de la conquérir. Elle leur jette son bouquet, sur lequel ils se précipitent pour y prendre une fleur qu’ils se mettent à la boutonnière. On suppose que la comtesse épousera le commandeur car elle pourra vivre à ses côtés libre et heureuse, sans lui abandonner son cœur.